Brushing your teeth regularly twice a day just was not enough to maintain oral health. Storage area toothbrush also has a major impact on dental hygiene. 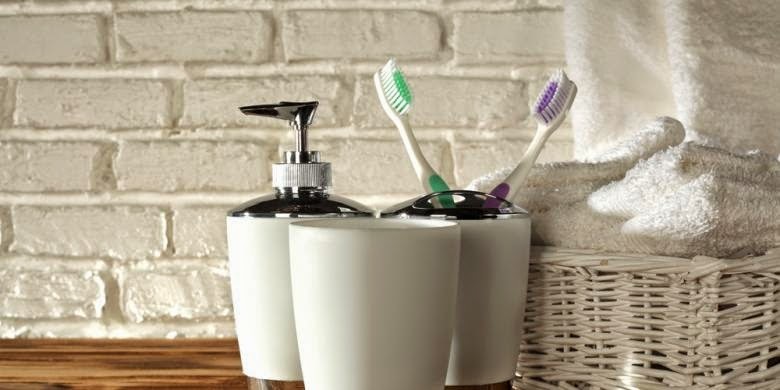 Toothbrushes stored in the bathroom over potentially save the bacteria. According to Prof. drg Melanie S Djamil, bristle brushes are the most vulnerable parts of the environment to absorb everything. "Damp bristles can be a gathering place for germs and bacteria," he said. In addition, the toothbrush should also be kept separate from the toilet or bathroom. "Bathrooms indicate smelled gas. Therefore, you should keep a toothbrush out of the toilet," said Professor of the Faculty of Dentistry, University of Trisakti this. Other treatments that need to be considered to maintain the cleanliness of the toothbrush is always dry the toothbrush after use, do not be closed in wet conditions, and place it in a place that has a baffle or not to stick with another toothbrush. "Movement brushing teeth also affect the bacteria in the mouth to die. If we carelessly brushing, it simply just transferring bacteria from the mouth to brush," he said. Melanie added, in the oral cavity can be found a wide variety of bacteria. "Swollen gums, food scraps, and cavities can also be a source of bacteria. Nah, these bacteria can switch to a toothbrush," he said.